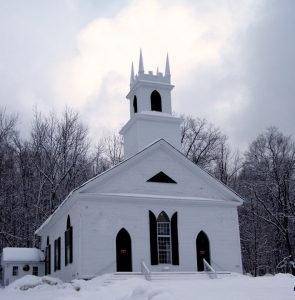 According to the Christian Post, approximately 4,000 churches are planted in the US each year. Surprisingly churches have a much higher survival rate than the average startup business. The article estimates that by year 5, 70% of new churches achieve self sufficiency. So if you want to set up your new church for success, you should spend some time creating a startup budget and a financial model that you can use to plan for the first few critical years of the church plant. In this article I am going to walk you through the steps of creating a set of financial projections for your church using our web app – ProjectionHub. You can either use our app to create your own set of projections, of use the Excel template that I am creating through this process by downloading our Church Startup Projection Template here. So the first step in creating a financial model is to estimate income for each month. You will need to make a number of assumptions, so I will walk you through those now. 1. # of Giving Units – First you need to know how many “giving units” your church will start with. A giving unit can be defined as a person or family that gives to the church. This is more accurate than estimating giving per person. For example, a large family may have 8 church members, but only be 1 giving unit. So if you are spinning off a new church from an existing church you might have the luxury of bringing some core members with you. 2. Average Income per Giving Unit – This is going to be based primarily on the demographics of the county or city that your church is located in. You can find the average household income for a family in your community from Census.gov. 3. Average Tithe % – Unless you have a very generous congregation, you should probably stick with the national average tithe of about 2.5% of income. 4. One Time Gifts/Year End Gifts – Also remember from a cash flow perspective that your income may not come in evenly throughout the year. Many people will make one time year end gifts as part of tax planning. So maybe the safest thing to do is estimate a 2% tithe throughout the year and then a larger tithe at the end of the year. If you are a daughter church, you can probably expect some financial support from the mother church. In “The State of Church Planting in the United States” one example is given of a church in Orlando, Florida that has planted several churches and will commit to providing $25,000 per year for 3 years. Typically, you should plan on trying to reach self sufficiency within 3 years. Within 5 years 70% of new churches successfully reach self sufficiency. It is also possible to get national support from your denomination. It is hard to estimate what to expect here, this is completely dependent on your denomination, so you will just need to do some research. Once you have all of your assumptions and data put together it is time to enter your income projections into ProjectionHub. Here is a screenshot below. You will notice that I applied a growth rate to the Tithes and Offerings category because hopefully you are adding new people to your congregation. The growth rate depends on a variety of factors, so I am just going to assume a 4% monthly growth rate for the first year and then going down to 2% and 1% monthly for years 2 and 3. Also, in this particular template that I am creating, I am assuming 25,000 per year from the mother church spread out over 12 months, and a $500 a month stipend from the national denomination. Next you will need to estimate your general operating expenses which vary dramatically depending on the specific details of your church plant. So rather than try to give you estimates for each category, I am simply going to list categories of expenses that you might have, and let you make these estimates based on things like cost of living in your location, whether the pastor is full time or part time, whether you meet in a home or rent a facility, etc. I am going to throw in some estimated expenses into the template for a church plant in the mid west United States. Starting a church can range from a thousand bucks in startup costs to tens of thousands of dollars in startup costs. Again this all depends on your model of church plant. 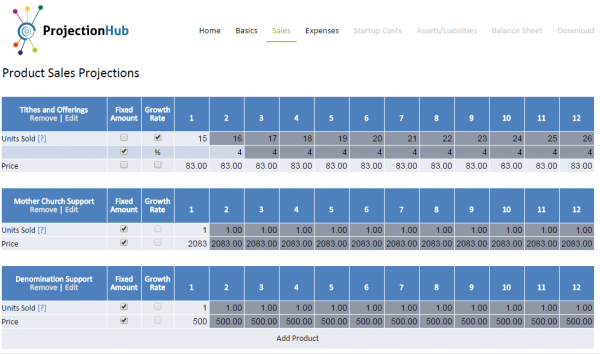 I am simply going to list some of the startup costs that you may need to consider depending on your model. There really aren’t many required startup costs. All you really “need” to do is incorporate in your state, and then secure non profit status. 501c3 Filing – In order to accept tax deductible donations from the congregation you need to have 501c3 status. If you have an attorney in your congregation, great! Otherwise you might want to check out a service like StartChurch who can handle this process for you. Although there aren’t many required costs, there are a lot of optional expenses that you may need to consider depending on your church plant model. Facility – This is only a startup cost if you purchase a facility. If you are renting, then rent will be part of your monthly operating expenses. Computer – The pastor will likely need a computer to research and develop sermons. Projector and Screen – Do you plan to project music or sermon slides on a screen? Instruments – Will the church own the instruments, or the musicians? Operating Capital Fund – Depending on how you want to create your model, it might make sense to have an operating capital fund as part of your startup costs. This fund could cover the first 6 to 12 months of rent and pastor salary. It seems wise to have some operating fund set aside to make sure that you don’t rely on a certain level of tithes and growth right off the bat. 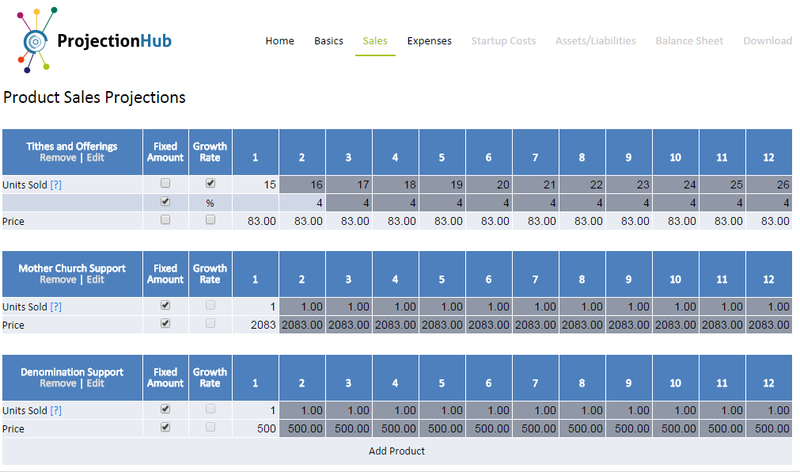 So once you add up all of your startup costs for your particular model, you will need to enter those on the Startup Costs page in ProjectionHub as a Use of Funds. You will also need to enter an equal amount for Sources of Funds. So will your Mother Church make an initial cash investment to cover these startup costs? Or will you raise funds from individual members? Once you complete the Excel template or work through the ProjectionHub app you will be able to see a monthly breakdown of your income statement, cash flow projection and balance sheet for the first 3 years of operation. You should be looking for the month on your cash flow projection where you start to regularly bring in more cash than goes out. You should at least try to plan to reach this point by the end of year 3, or have a clear plan to reach self sufficiency shortly thereafter.